In a bid to regain capture of the mid-range smartphone market in the country, Samsung recently launched the triple camera-packing Galaxy A7 (2018)in India. The device, which is priced starting at Rs. 23,990, is the company’s first smartphone to feature a triple camera setup on the back. With the new triple camera setup comes a host of new features, including two new impressive portrait mode effects that promise to take your portrait shots to the next level. 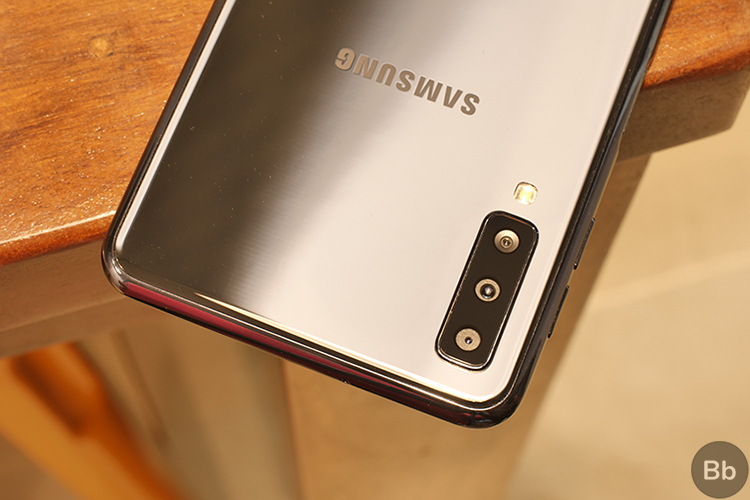 The Galaxy A7’s triple camera setup comprises of a 24MP primary lens coupled with a 5MP lens for depth perception and an 8MP 120-degree ultra-wide angle lens. Naturally, you’d expect the device to feature Samsung’s Live Focus mode for portrait shots that has previously been seen on other Galaxy devices with a dual camera setup. The Live Focus mode, if you’re unaware, works much like portrait mode on other dual camera devices and artificially blurs the background while keeping the subject in focus. Samsung’s Live Focus mode was already quite unique as it allows users to adjust the strength of the background blur after clicking the images, but Samsung has taken the setting up a notch on the new Galaxy A7. On the Galaxy A7, the Live Focus mode includes two new effects that we’ve not seen on other Galaxy devices before – Portrait Dolly and Portrait Backdrop. The effects can be found within the Live Focus settings once you tap on the ‘Adjust Background Blur’ button on a picture clicked using the Live Focus mode. The new features are definitely a bit finicky and don’t work all the time (the effect requires a single person in the frame with no clutter nearby), but when it does worth it really enhances the portrait images. Even though the Galaxy A7 is a mid-range device, it includes a bunch of unique features that you wouldn’t find on any other Samsung device. So, if you’re looking for a mid-range smartphone that brings something more than just the usual fare, then you should definitely consider getting the Galaxy A7. But do stay tuned for our full review which is coming soon to know whether Samsung is indeed back in the game with this phone.